Exciting news this Labor Day weekend! Bolt Productions is happy to announce that we have moved! In effort expand our studios and broaden our photo and video production horizons, we relocated our main office and obtained new studio space. 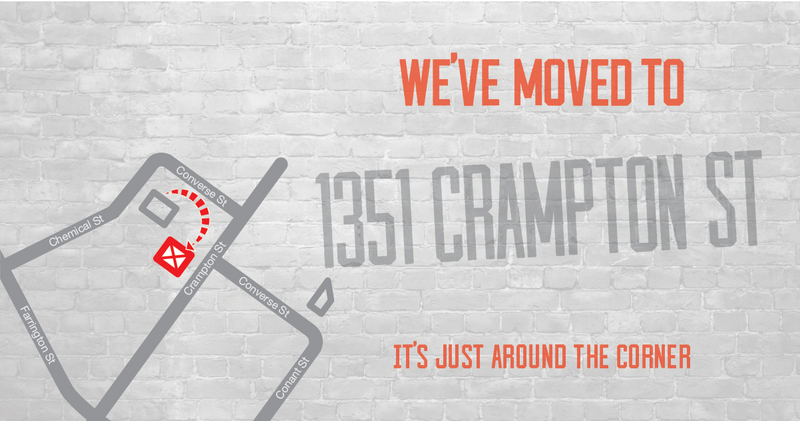 Our new office location is now found at 1351 Crampton Street in Dallas. It’s just around the corner from our old offices, so you won’t have trouble finding us. Stop in to say hi, get professional photography and video tips, or to pick up one of our top of the line rentals at great daily and weekly rates. Bolt Productions offers a variety of rental studio options located in the downtown Dallas area. Our studio solutions are ideal for photographers and videographers who need studio space when traveling to Dallas for a location shoot, or for a temporary solution to handle a large job. Each of our rental studios include a private entrance, fourteen foot ceiling height, full kitchen, loading dock, dressing room, wireless access, telephone, sound system and media center, network printer, and client area. The Bolt Productions rental studios are backed by a large assortment of photographic and video equipment and support services for your studio shoot. In addition to offering an unprecedented selection of high-quality still and motion rental gear, we provide a variety of on-hand inventory of essential supplies, and a list of local talent including digital techs, stylists, prop houses, set builders, and caterers. Both our 2408 Converse and 1350 Chemical Studios allow us to assist you putting your photographic shoot together. All equipment rented for use in the studio must be reserved in advance and will be made available under our normal terms and conditions. Special requests are no problem and will be handled promptly. All rental rates are daily or weekly. Check out our Studio Rental Site to see the detailed information and photographs of our studio solutions. To book studio space call 888-939-7822.